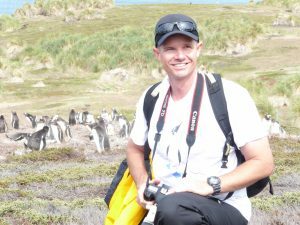 Scott is an award winning practitioner with specialist knowledge in assessing and managing impacts on terrestrial fauna. Scott has been associated with vertebrate fauna surveys and assessments for 20 years, including more than 15 years of professional industry experience, and 14 years as an environmental consultant. Scott is experienced in conducting remote location fauna surveys, targeted threatened species surveys, ecological assessments, developing fauna management protocols and mitigation plans, and vertebrate pest management and control. He has a strong academic background in ecology and mine site rehabilitation. Scott is also a licensed pest management technician and is the primary handler of Dazzy, the detection dog. Doctor of Philosophy (Environmental Science/Management). Master of Science (Environmental Management). Bachelor of Science (Environmental Science). Certificate III (Vertebrate Pest Management). Certificate IV (Work Heath Safety).